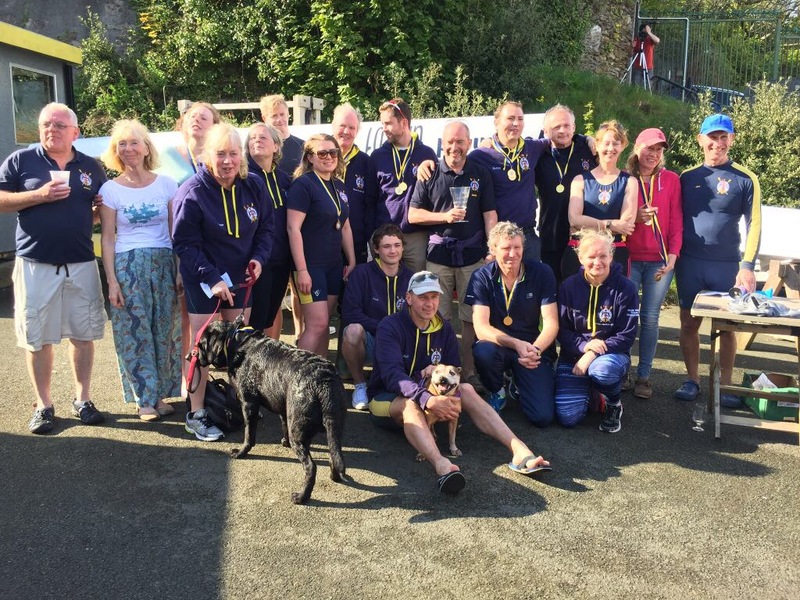 Summer 2018 has been quite eventful for Mayflower Offshore Rowing Club. 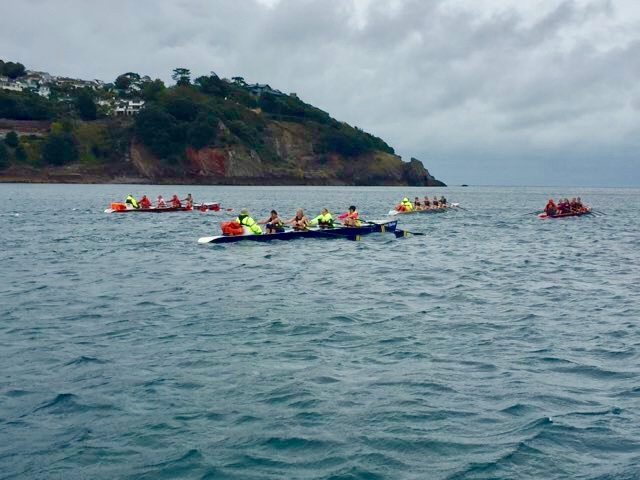 Our Rowers took part in Commonwealth Beach Sprints and the British Rowing Offshore Championships in Poole and the Welsh Open in Aberporth. 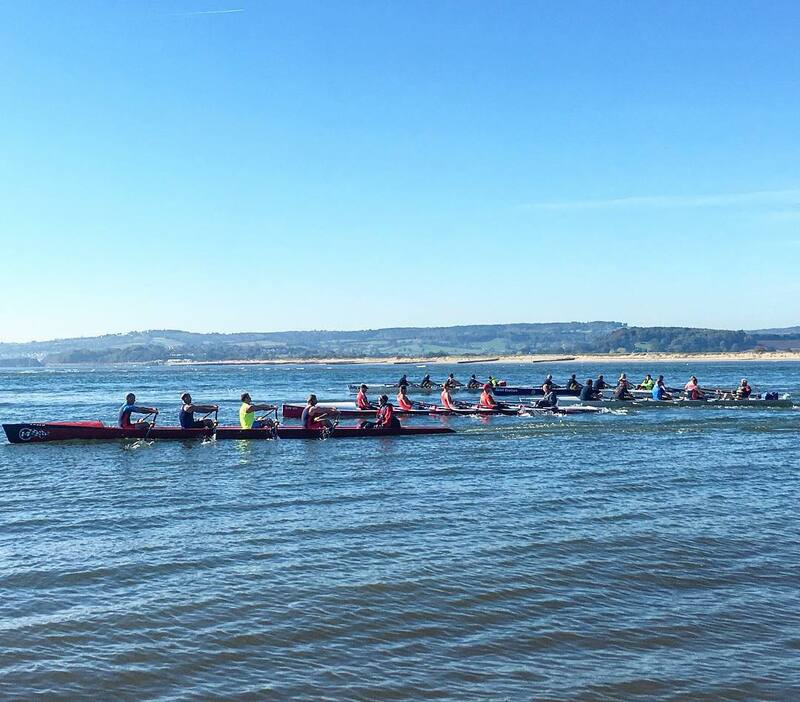 Commonwealth Beach Sprints and the British Rowing Offshore Championships, Dorset, played host to 57 crews to compete at a national level with other clubs from Exmouth, Birmingham, Jersey, Dover, Wales, Sweden and many more. The qualifiers begun on Saturday with a 4k course finishing back on the beach where the bow person has to jump out and run over the finish line to complete the course. The finals on the Sunday had a party vibe courtesy of the DJ on the beach, the racing was also tuned up to the bouncy sea conditions with a one meter swell and strong winds… perfect for coastal rowing! The ladies coastal single sculls started great for Mayflower Champion Fiona Carmichael who crossed the sand to claim Gold by only two seconds to successfully defend her 2017 title in a time of 39:22.56. Second place was claimed by Maria Pelven of Helsingborgs Roddklub, Sweden. 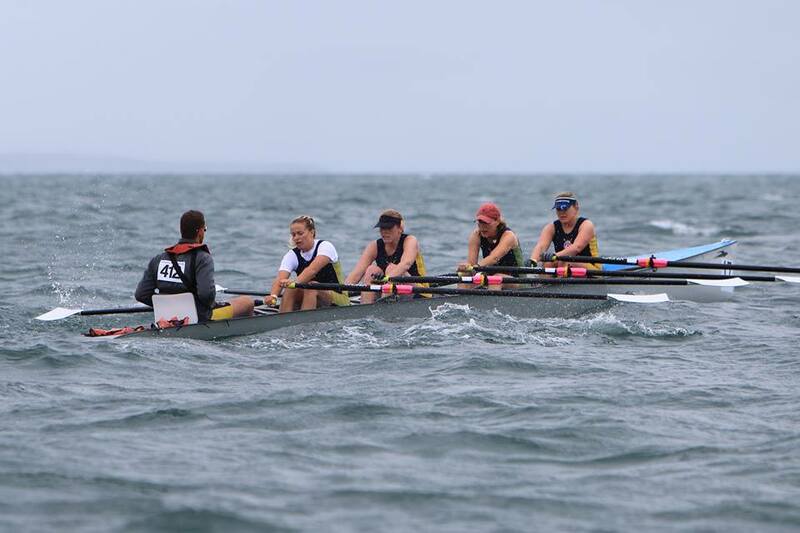 The coastal women’s coxed quad, started neck-and-neck; as the race went on the hard training paid off for the MORC girls as they pulled away from the pack Ania Wieczorek, Ruth Winter, Fiona Carmichael, Phoebe Winter; Coxed by James Lovering taking the Gold in 33:23.53 ahead of county rivals Exmouth Rowing Clubs (Ladies A) who took Silver and Tideway Sculling Club who took bronze. In the Men’s categories; James Van Tuyl of MORC claimed sixth place in the Men’s coastal single sculls, with the men’s coastal coxed quad finishing fifth in the final. Prior to the Offshore Championships, James Lovering of MORC also participated as part of Team England at the Commonwealth Beach Sprints taking home two Bronze medals in relay and a double. 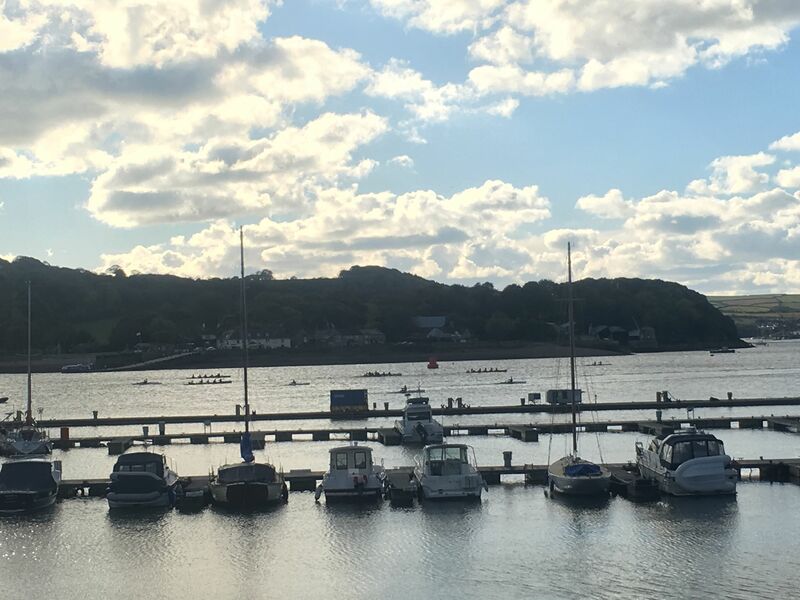 During the first weekend of September Mayflower took part in the Welsh Open racing clubs from numerous Welsh Clubs, Jersey, Ireland and Exmouth. After 6km races in some choppy waters, accompanied by dolphins, Mayflower brought home few medals: gold for men’s quad, silver for ladies single and mixed quad, and bronze for ladies quad, ladies mixed and men’s quad. 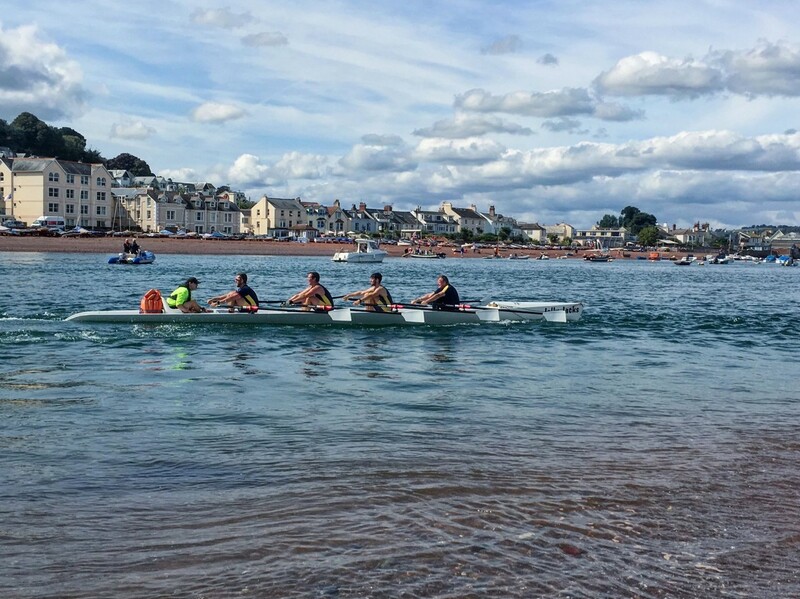 The autumn season brings our second part of races for South West Coastal League with the first one in Teignmouth on 15th September.